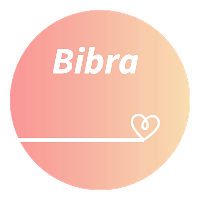 The Bibra sports bras have everything an active woman could want or need. Full support bras, with underwire, contour, lift, longline design, quick dry, gel straps & breathable fabric, moulded cups and racer back options. Wear solo or under any workout gear. Buy sports bra online for girls who want to stay active while being comfortable. Our collection of women’s sports Bra for sale online is perfect to protect and support structure of breast while you train or workout. Let us celebrate the new dawn of supportive bra’s that make your workouts even more powerful as you choose the compression bras. Lessening the discomfort of movement during workout, these are classic sports bras promise immense comfort that adds to your confidence. Shop for your sports bra online and enjoy free shipping and Try the popular Champion active range today, also buy Sports Bra Online For Girls,Women's Sports Bra For Sale Online at Bibra and enjoy the 25% discount on all your purchase.